Happy First Day of Spring!!! 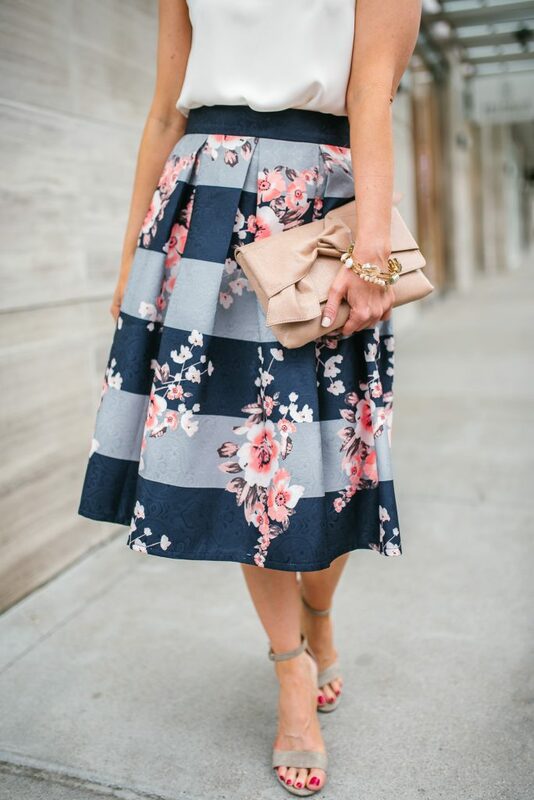 I can not imagine a more perfect skirt to ring in the spring season. It’s one of my favorite print mixes in one. 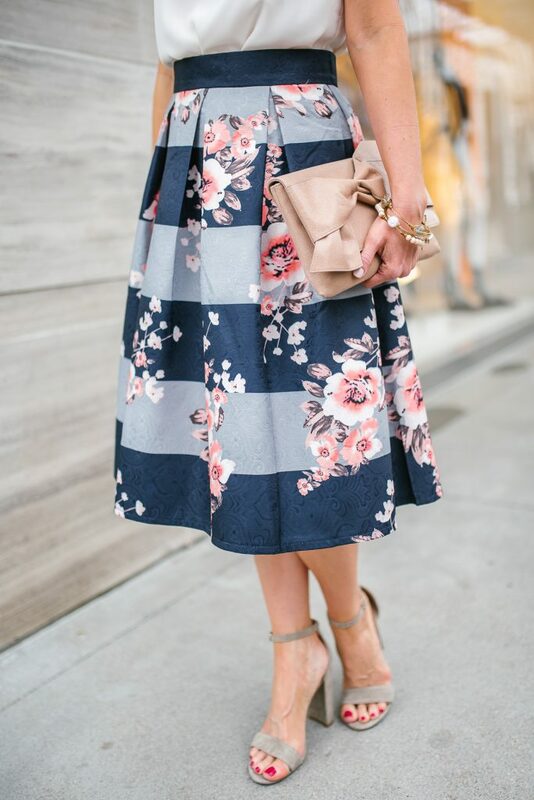 I love everything about this skirt from the flared style, the midi length, the thick stripes, the floral print, and oh the gorgeous colors. 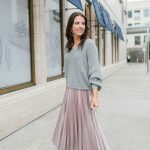 I am a fan of many things on the Chicwish site, but oh do they have some fabulous skirts! This is my 3rd skirt in this style, and I always receive so many comments, questions, and compliments when I wear them out. I love that the look and quality of this skirt looks like it would be pricey, but it’s only $45! 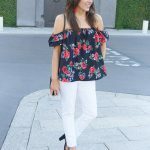 I couldn’t resist pairing it with my ivory scalloped cami for the perfect kick off to spring look. This outfit combo would be perfect for a shower or luncheon. You could also make this work for Easter Sunday, add a pink cardigan or denim jacket if you don’t do strappy tops in church. For the office, pair this skirt with a solid color tee or white button down top. If you have a fitted pink top, it would be perfect to play on the colors of the flowers in the skirt. I opted to wear my rose gold jewelry to work with the pink of the skirt. I know some of you aren’t quite experiencing the sunny and warm spring weather yet, but I hope you still get out and enjoy the start of the season! Tell me in the comments what item you are most looking forward to wearing this spring! You have the most beautiful style! That skirt is perfect for you! Such a fresh spring look! I don’t generally like midi skirts but you rock in this one. 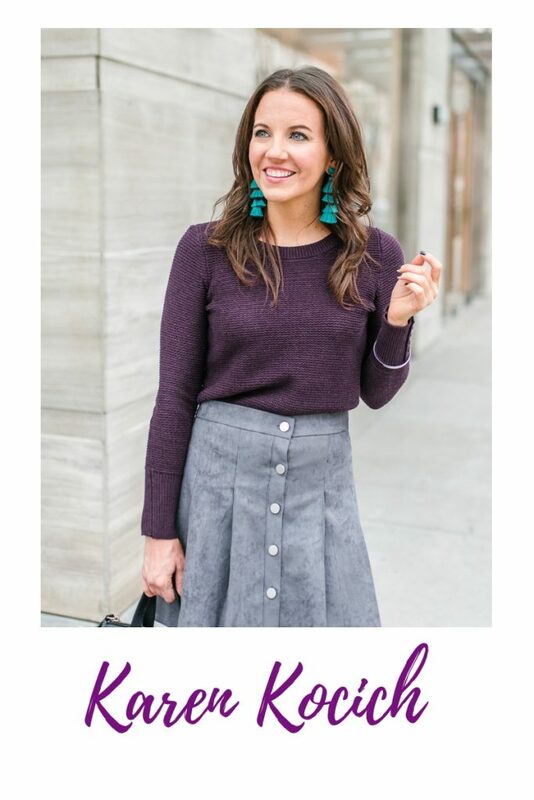 I am a huge fan of midi skirts, and this one looks fabulous on you! Thanks! Hope your week is going well! 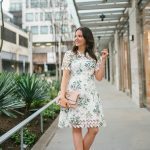 Beautiful spring look!! 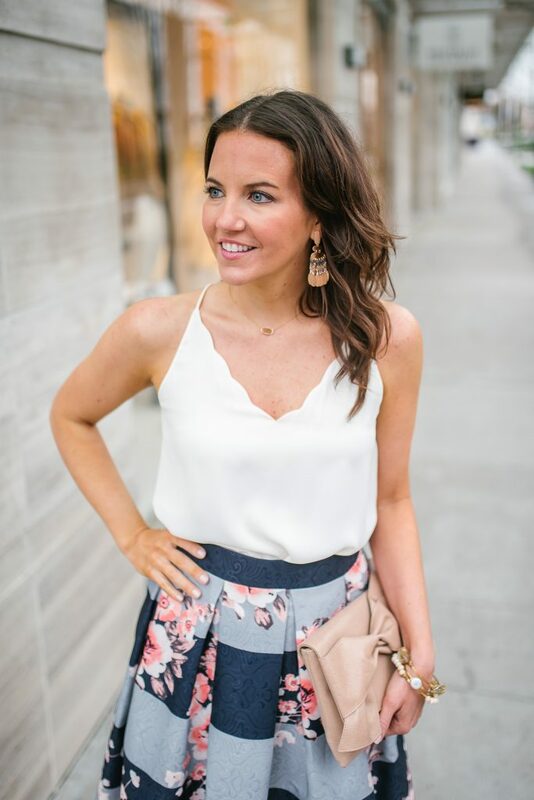 your skirt is gorgeous and I love your scalloped cami! Happy Spring Day. Weather is still winter up here for now with a day or two of spring before winter returns. I love your skirt. Perfect for work or any other event. I love your high heel sandals too. I have the same heels but in black. Leaving for vacation to San Juan tomorrow. Can’t wait to escape winter for a while. What a lovely romantic look!